Our dedicated team are here to treat those minor ailments that occur as well as providing specialist management of long-term conditions and clinics covering a wide range of healthcare issues. The technology also means you can now do a lot of things from the comfort of your home such as book and cancel your appointments online, order your prescriptions online and view your medication history and allergies online using Patient Access our online service, you can register at www.patient.co.uk/access or registration forms are available from reception . You can also order a repeat prescription via our website. If you have any communication/information needs relating to a disability, impairment or sensory loss that you want us to know about, please speak to our reception team so we can record your preferred method of contact and ensure you can receive your health information in a format you can understand for example large print. We are currently in the process of updating our records, trying to find the most effective way of contacting our patients. 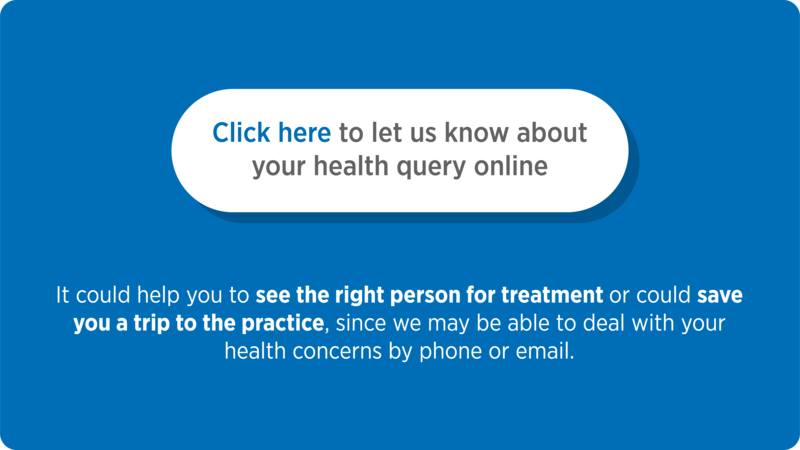 If you have recently changed your landline or mobile number or if you have an email address that you are happy for the practice to contact you on, please could you update your contact details by completing the online form below or by telephoning the practice on 01706 621417. You can book to see a GP or Practice Nurse at evenings, weekends and on bank holidays. You will probably not get to see your own doctor during these hours but the GP or Nurse you do see will have access to your medical record, subject to your consent. If you would like to book an appointment please contact call the central booking line on 0161 763 8292.